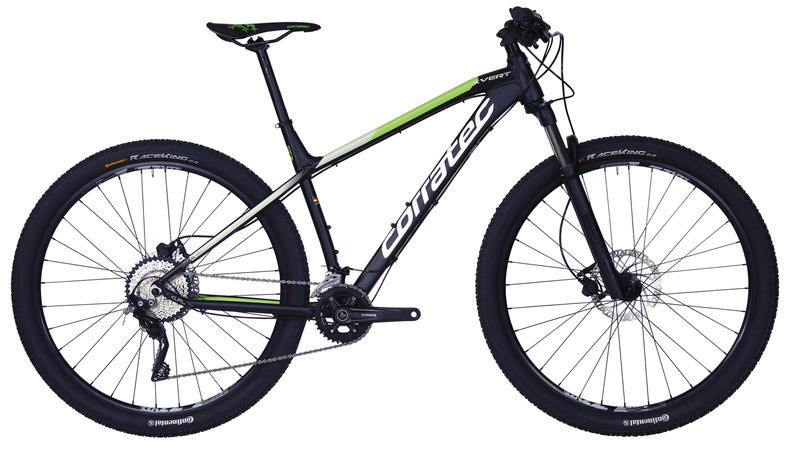 The X-Vert is the perfect bike for every MTB ride. The well-balanced geometry and the 29 inch wheels provide a good comfort. This bike is the perfect companion for a maximum of fun on and off road. Exceptional shifting performance with Shimano DEORE. Fluent rolling control with Continental RaceKing tires.